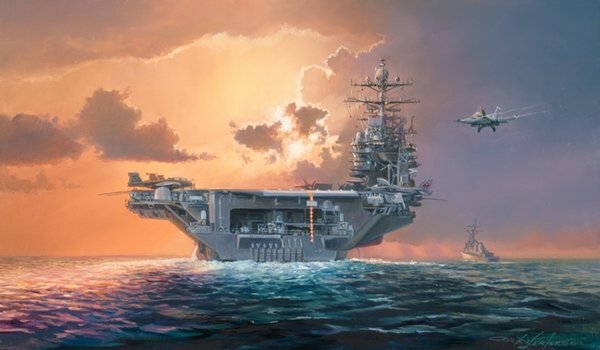 The USS Lincoln, like many of her sister ships, are floating cities. Each is a self-sustained floating airport that’s sovereign U.S. territory. When deployed, they operate with their own ZIP code, post office, hospital, dental clinic, barbershops, athletic facilities and chapels. More than 18,000 meals are prepared daily for a crew of over 5000. The Carrier Air Wing, or CVW operates with approximately 80 aircraft from rescue helicopters to fighter aircraft and the ship and aircraft operate 24/7.